Come Rain or Come Shine, a beautiful song that Frank Sinatra really liked to sing, was written by Harold Arlen in 1946. Johnny Mercer wrote the lyrics for Come Rain or Come Shine, and it was for the musical St. Louis Woman. In fact, whole music of this musical was by Harold Arlen and Johnny Mercer. The recording was first made by Tommy Dorsey‘s Orchestra in 1946, and many singers, including Frank Sinatra, recorded or sang this song later. It became a standard then. Frank Sinatra sang Come Rain or Come Shine many times through his career, firstly via radio broadcasts, then in his albums. 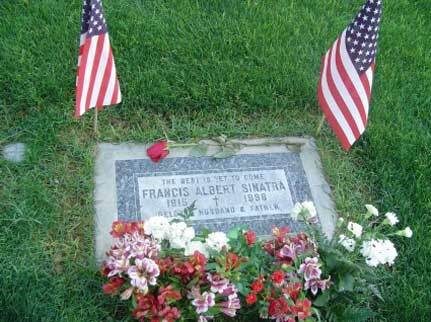 He first recorded the song on November 22, 1961, for his album “Sinatra and Strings”, which was released in 1962 and was arranged by Don Costa. In 1993, Frank Sinatra recorded Come Rain or Come Shine for his “Duets” album, and Gloria Estefan sang a part of it. Come Rain or Come Shine is really a piece of work, with its amazing orchestration. Ray Charles’ version is also worth mentioning, and could be perceived as better than Sinatra’s. Below is a beautiful performance of Frank Sinatra, singing Come Rain or Come Shine. What did Frank Sinatra say about Come Rain or Come Shine? *Special thanks to Michael Wind for his contributions regarding what did Sinatra say about Come Rain or Come Shine.